Bangkok (Thailand) – September 5, 2018 (travelindex.com) – The Pacific Asia Travel Association (PATA) is pleased to announce a new Strategic Partnership agreement with Mastercard, a technology company in the global payments industry. As part of the agreement, Mastercard will work with the Association and its members in providing collaboration and mentorship to strengthen tourism and drive digital transformation across the region. 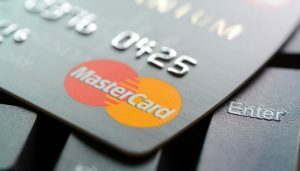 Mastercard is a technology company in the global payments industry, working with organisations across the tourism sector to deliver seamless and secure travel experiences. As a leading partner for the industry, Mastercard also works with over 100 cities around the globe, turning them into smart destinations that are easy to access. Diana Robino, senior vice president, global tourism partnerships, Mastercard, said, “Mastercard is committed to bringing public, private and institutional partners together to advance more connected and more inclusive tourism. We look forward to working with The Pacific Asia Travel Association and its members, harnessing our innovation, insights and solutions, and unlocking the power of collaboration”. Mastercard is a technology company in the global payments industry. Our global payments processing network connects consumers, financial institutions, merchants, governments and businesses in more than 210 countries and territories. Mastercard products and solutions make everyday commerce activities – such as shopping, traveling, running a business and managing finances – easier, more secure and more efficient for everyone. Follow us on Twitter @MastercardNews, join the discussion on the Beyond the Transaction Blog and subscribe for the latest news on the Engagement Bureau.